Sao Paulo and a strange coincidence. Sao Paulo, or Sao Pao as it is affectionately called, scared me just a little bit. It is the third largest mega-city on the planet depending on which criteria you grade it by. I was told that it would be brash, business-orientated and dangerous, full of skyscrapers and hard-nosed professionals. I was told that nobody visits it and I should get in and out as fast as possible. But I also knew somebody who used to live there and he told me that it has a knack of getting under your skin in a good way too. I planned to stay just two nights and that was two nights more than I wanted, but in the end I stayed six! I liked it. Yes, it was enormous and it had very little culture visible on the surface, but dig deep and it is there. So, what did I get up to? Well first up, while my hostel wasn’t anything special; from the outside it just looked like any old house in a suburban street but it was perfect for me. It was a short walk from a metro station and it had a large courtyard at the front where we all gathered and chatted and drank most evenings and it had large squoosy mats inside for lolling around on. And there were parrots in the trees in the street. The Grand Prix was taking place in Sao Paulo the weekend that I arrived and some of the hostel guests were staying in the city for that. Others were using the hostel as a base for work or interviews and others, like me, were simply travelling. There were a lot of things that could have been improved about the hostel but, as usual, it was the group dynamics of the guests which made it special. 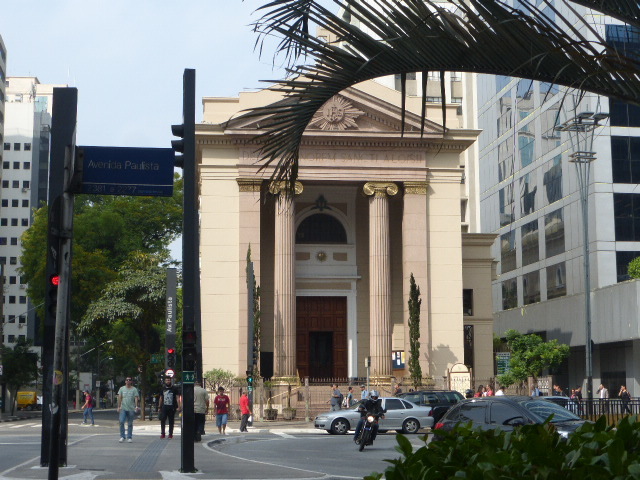 One afternoon I went along on one of the free walking tours along the Avenida Paulista wondering how on earth anyone could get a walking tour out of a main shopping thoroughfare. But I learnt all about the history of the city and I was told that when each huge skyscraper was built the developers were obliged to include a ‘cultural centre’ within the building. There is an excellent shiny underground system and I had heard of its reputation in the rush hour. So when I found myself down in the main station as the peak rush hour descended upon me I have to admit to a bubbling up of a latent agoraphobia. I held my nerve and my breath and I went with the flow. The squeeze on the London Tube is NOTHING compared to this and I couldn’t even begin to imagine how I would get onto one of the packed trains from five people deep. The next train arrived and the lady behind me began to push. And push and push. And when I was somehow on she yelled at the man behind her to push her harder! 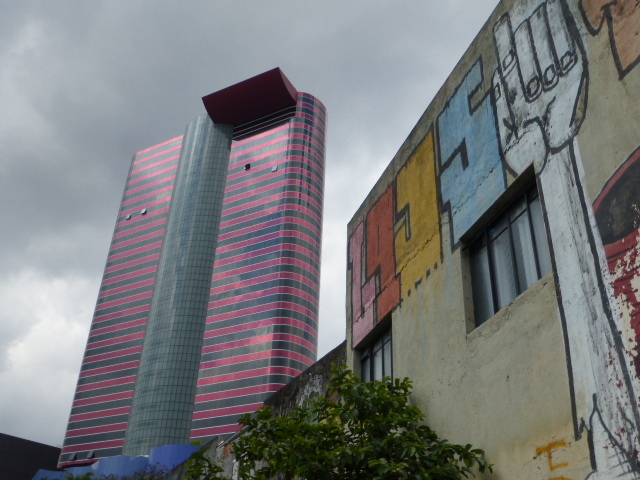 I survived my metro experience and I went on to visit the bright pink skyscraper near to my hostel which was hosting a very large Salvador Dali exhibition in its groundfloor culture centre. 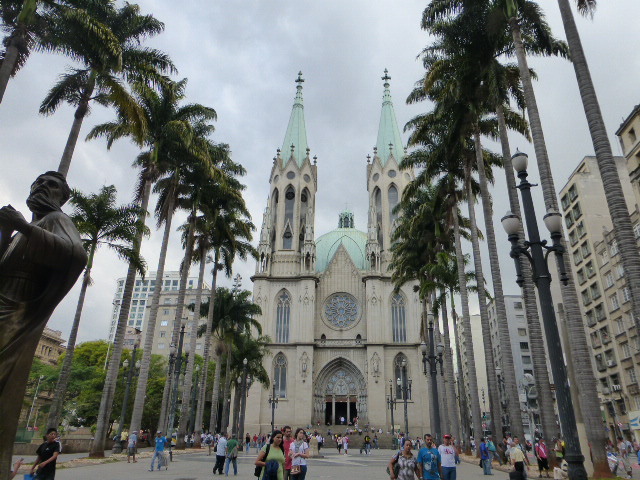 I also visited the cathedral in the old town centre (as far as Sao Pao has an old centre) and I went along to the MASP museum which is 4 floors of art housed in a large concrete block on stilts on Avenida Paulista. I also went along to the Museo MAM which is set in a large green park with skyscrapers clamouring around the edge and reminded me of postcard scenes from Central Park in New York. And along with Giovani from Italy and Ian from the UK I went up to the top of one of the huge buildings which has opened up its upper deck to visitors – although that was a bit of a mission. We set off on foot, and after an hour and a half of very fast walking we finally found the building in the city centre – just as it was closing. Faced with three hot and sweaty travellers the lady on the desk luckily took pity on us and she allowed us to join the queue. So we queued and we queued. For another hour and a half until it was finally our turn to go up in the elevators. And then we were only allowed a strict five minutes on the balcony – and hilariously this was actually timed by a lady with a stop-watch who got quite stroppy with us when we wanted to wait just a few seconds more! I was in my last couple of weeks in South America and I wanted to cram as much in as possible yet I wanted time to slow right down so that I could savour the last few days. So I chilled and I chatted and I went out walking. I planned to go straight to Rio but at the last minute I jumped on a bus on my own to Paraty. I jumped on the wrong bus and I eventually arrived quite late at night. It was 11pm and I didn’t especially like the hostel that I had checked into so I decided that, despite the next day being my birthday, I would move straight on to Rio. 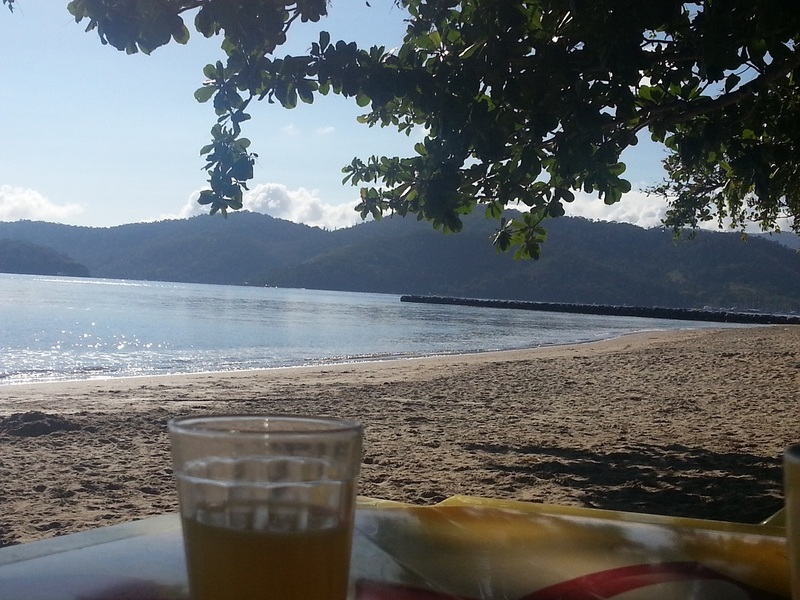 And then I woke up and went for breakfast which was served at the beach bar. Sitting with my toes in the sand I changed my mind and I had just decided that I would spend my birthday lying on a towel in this most idylic of places, when the Brazilian lady at the next table struck up a conversation with me. She was on holiday and she told me that she planned to take off in her car and visit an indigenous community, find a deserted beach and trek to a secret waterfall – she may or may not return to Paraty that night – she may camp out in her tent or she may find a hostel – and then she asked if I would I like to join her. I thought for all of fifteen seconds and then I discounted all the rules about strangers and I dashed inside the hostel, stuffed my things back in my rucksack and jumped into her car. Twenty minutes up the road I asked her – we were both communicating in Spanish which was our second language – I asked her name!! And the coincidence that I mentioned at the top of this post? 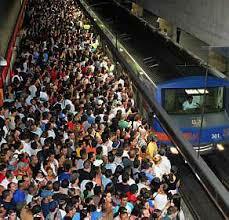 I was searching the internet for a photo that depicts the craziness of the Sao Paulo metro system. My chosen photo turned out to be posted on a Brazilian website and I had actually worked alongside the author when we were both volunteering in Peru! It looks and sounds lovely Scarlett and it just goes to prove it is best to make up your own mind about things rather than take what you hear as gospel! That pic of the metro in Sao Paulo is way beyond tight and crowded. It is also unbelievable that at this time there is no more telecommuting world wide .